As some of you may know, I'm not going to be running Western States this year. As defending champion of the world oldest and most prestigious 100-mile trail run, its was a hard decision not to run this year, but a decision that I know is right. So here's why I won't be in Squaw Valley this June. In January I strained my groin after a couple weeks of running on slushy snow in McDonald Forest. Initially I thought the injury would heal in just a few days, but as time went on days became weeks. The final damage was that I didn't run for 8 weeks starting in the middle of January and ending in early March. The injury served as a harsh reminder how important patience and recovery are in running. After the first couple runs to test out my groin, I allowed myself to run every other day for the next 2 weeks. This was tough. When I wasn't running, I forgot just how fun running is. Once I started again, I remembered just how fun running can be, so it took a lot of patience to take every other day off. I was still experiencing a little pain while running, but as the weeks went on, each run felt far better than the previous one. I had to take one day off in the middle of April since my groin felt a bit sore. Fortunately the soreness was gone by the next morning! Since then I've been completely healthy which is certainly nice. That lack of training this spring certainly played a role in my decision not to run Western States. At this point, I believe that I'm actually in quite good shape. But I haven't done many long runs so in that regard I'm less prepared for a hundred miler than I'd like to be. Outside of preparation for the race there are a couple other factors I'm considering in my decision. The lack of long runs this year will certainly extend the necessary recovery time for Western States which is something I don't want. I've been completely healthy for 7 weeks now which is my longest stretch of good running in the last year. After Western States in 2016, it took me a while to recover from the race. I was able to get in a couple weeks of solid running before school started, but fall semester at NAU ended up being very stressful. I ended up transferring to OSU in the winter because of the stress at NAU. Anyhow, when you're really stressed out, running isn't all that fun. Often I felt pretty worn down by each day which made it hard to even get out the door. Coming home to Corvallis was great and I got in a 4 weeks of strong, fun runs this winter before I strained my groin. That took a while to recover from, and now I'm finally able to get into the every day routine. The bottom line is that I'm not ready to give up the every day joy of running for one race and a long recovery period. At this point I mainly want to get out and enjoy every day. I realized that instead of trying to force Western States to work out, I should take advantage of the opportunities that not running the race would open up. Its been over 2 years since I raced a 50k (Bighorn 100M, Georgia Death Race 68M, Western States 100M), so I've been tempted to test myself at the shorter ultra distances. Shorter races would also have a far shorter recovery time than a hundred miler which would allow me to race and not lose too many days to recovery. While I want to get out and enjoy every day, I'm also ready to run a race since my last race was Western States last year! So my decision is to skip Western States this year, and run Old Gabe 50K in Bozeman Montana this June. I've run the race a couple times before and have wanted to go back and run it again. Unfortunately the race falls one weekend before Western States, so normally it would be impossible (or just really dumb) for me to run it. Now that I have the chance to run it, I figure, I might as well take it because who know when this opportunity will roll around again. One last thing I've learned from this experience is how much Western States means to me. Sometimes you don't realize how much something means until its taken away. That was Western States for me this year. I love the community, the history, everything. I intend to return in 2018, but this year will be a chance to test myself in new ways and become a more well rounded runner. Great job Andrew! Running is amazing! 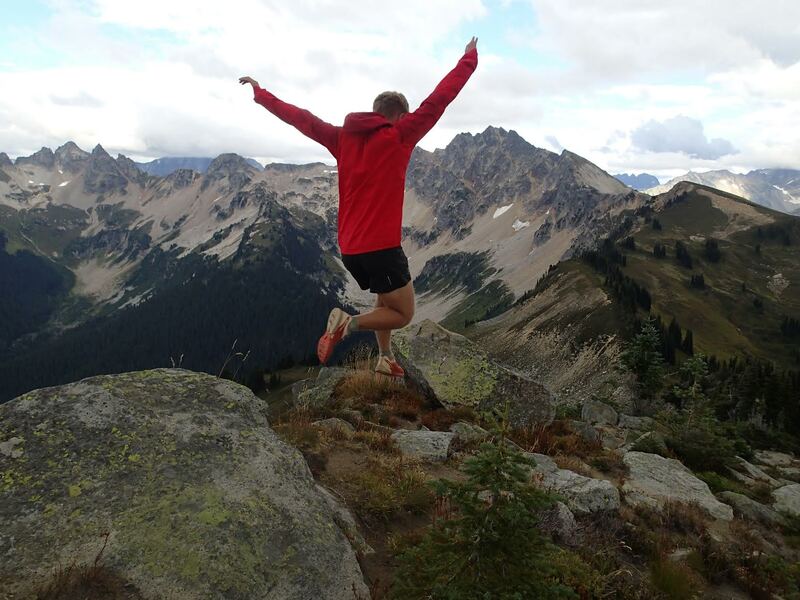 If you can swing it i am sure everyone would love to see you at WS100 even as a spectator. Hope to see you there. You are wise young man. Good call. Although a tough decision I applaud it for the sake of your health and longevity as a runner​. I've returned to Bighorn 100 this year and am 3 hours out from the start as I write this. I'll be thinking about that 2015 of yours here as inspiration. Smart decision Andrew! You've got a good head on you man! It was pleasure running ZG 50 all those years ago with you now! Best of luck at OSU hope school and everything is going well there!